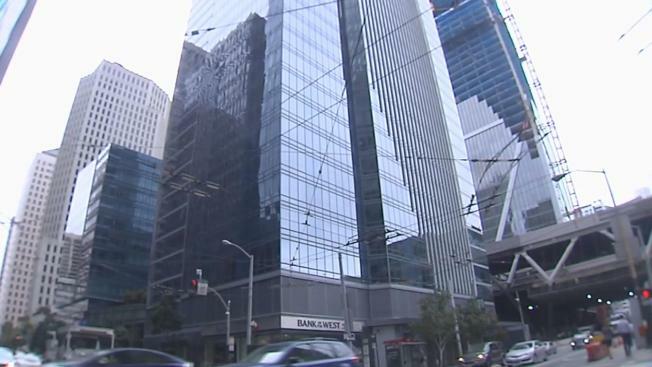 A top member of San Francisco Mayor Ed Lee’s staff who served as the private “permit expediter ” to the now sinking Millennium Tower project helped craft the mayor’s recent defense of the project, NBC Bay Area has learned. Patrick Otellini, who was hired by the city in 2012 , currently advises the mayor on how the city should prepare for a major earthquake and sea level rise. Before he was hired by the mayor, however, Otellini worked as a private consultant, performing the little understood role of permit expediter in getting major projects through the city’s bureaucracy and the Department of Building Inspection. Otellini is the registered representative on the project, and his signature is on many documents related to the now sinking and leaning Millennium Tower. In an Aug. 10 letter to the mayor, U.S. Sen. Dianne Feinstein mentioned having met with Otellini and asked about what she called the “alarming” problem related to the foundation of the building, which has now sunk some 16 inches. “I am left wondering if the city’s building code played any role in allowing this sinking and tilting to happen,” she said, adding that “most alarming” to her was the decision by the developers to not support the foundation in bedrock. At a news conference in defense of the project on Tuesday, Millennium’s founding partner, Chris Jeffries, cited the mayor’s letter. In an email to Supervisor Aaron Peskin on Wednesday, Otellini acknowledged that his office “provided guidance to the Mayor’s office in responding to Senator Feinstein’s letter” related to earthquake safety issues. He did not return calls seeking comment late Wednesday. As for claims that the project had been reviewed by a panel of experts, NBC Bay Area interviewed the two structural engineering experts who served on the city’s Millennium peer review panel. While such a panel has three members, with a geotechnical expert represented, the Millennium project had just two. Both panelists, Jack Moehle and Hardip Pannu, stressed that their work was limited to assessing the steel reinforcement of the above ground part of the structure, not the foundation. The city currently allows buildings like Millennium to escape a full three-member peer review requirement as long as they are built with strict adherence to codes. Since 2008, peer review is required only for those buildings whose designers have to prove their project can withstand a quake, even though it may not adhere to all provisions of the city code. Peskin’s office confirmed Wednesday that Otellini will be among those summoned to appear at the hearing about the city’s handling of the project slated for 10 a.m. Thursday at City Hall.